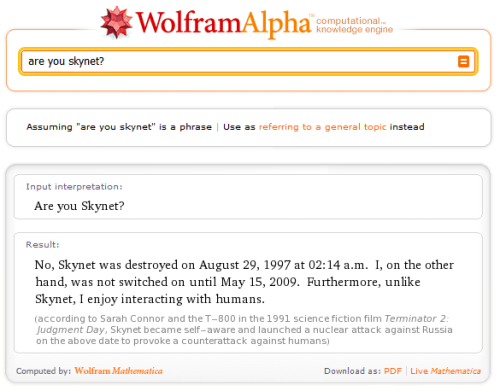 Wolfram Alpha: Are you Skynet? No, Skynet was destroyed on August 29, 1997 at 02:14 a.m. I, on the other hand, was not switched on until May 15, 2009. Furthermore, unlike Skynet, I enjoy interacting with humans.